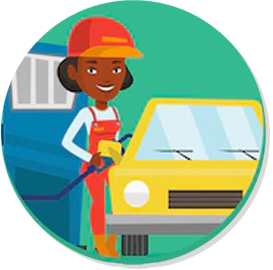 All persons involved in the import, export, wholesale, retail, transportation and/or storage of petroleum and petroleum products require a GEA Licence. 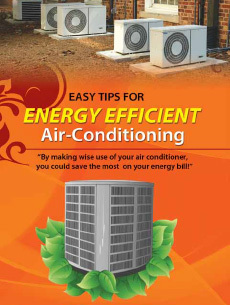 Explore various opportunities for reducing your energy consumption and carbon footprint. Keep informed on the different renewable energy projects undertaken by the GEA. Stay updated with latest news releases from the GEA. The Administration and Human Resources consists of two units: the Admin Unit and the HR Unit. The Finance Division is responsible for the day to day management of the financial resources of the Agency. 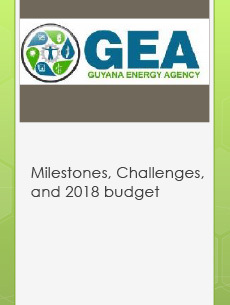 This Division is specifically tasked with enforcing the Laws/Regulations governing all activities involving petroleum and petroleum products in Guyana. 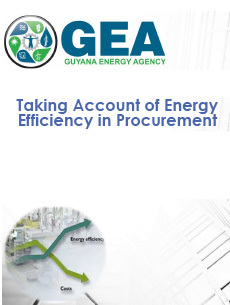 The Energy and Energy Statistics Division is responsible for the analysis of petroleum product imports in Guyana. The Government of Guyana, through the Agency, contracted Biocode, a UK-based company, to offer appropriate technology in the fight against fuel smuggling. "When buying appliances, compare energy labels, not just prices, to make sure you buy an energy efficient unit." 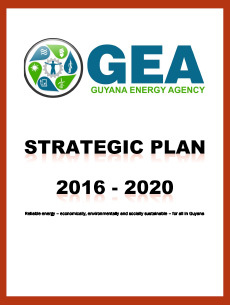 The purpose of this 2016 to 2020 Strategic Plan is to guide the activities of the Guyana Energy Agency for the next five years to ensure that stable, reliable and affordable energy is provided to all persons in Guyana within an economically, environmentally and socially sustainable framework. The Strategic Plan provides a roadmap to help navigate a changing environment and incorporates the organization’s status, vision, method and means of measuring progress. The Strategic Plan is deployed through a number of key strategic actions along with performance indicators and targets where appropriate. Minimum of a Bachelor’s Degree in Economics or related field.